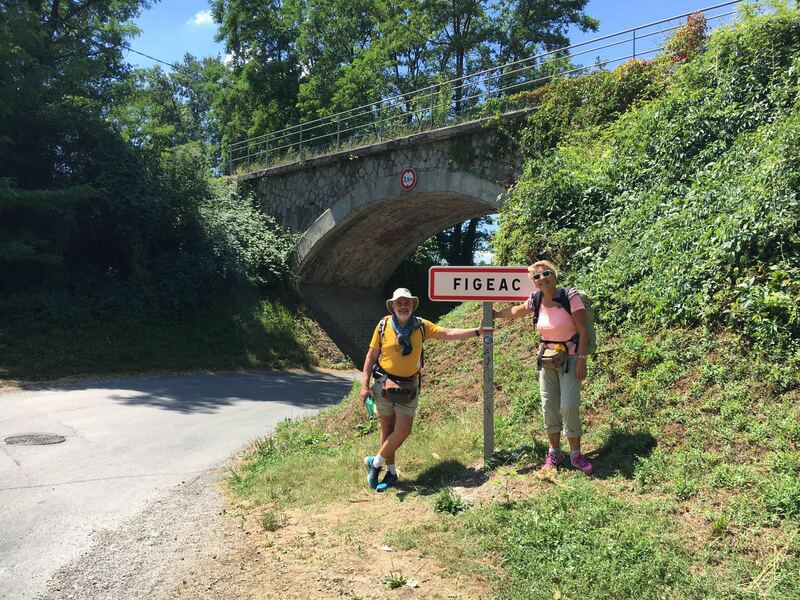 Day 5, Stage 3, from La Coste to Figeac, start at 10:19 for 4:11 hrs, total 15.64km. 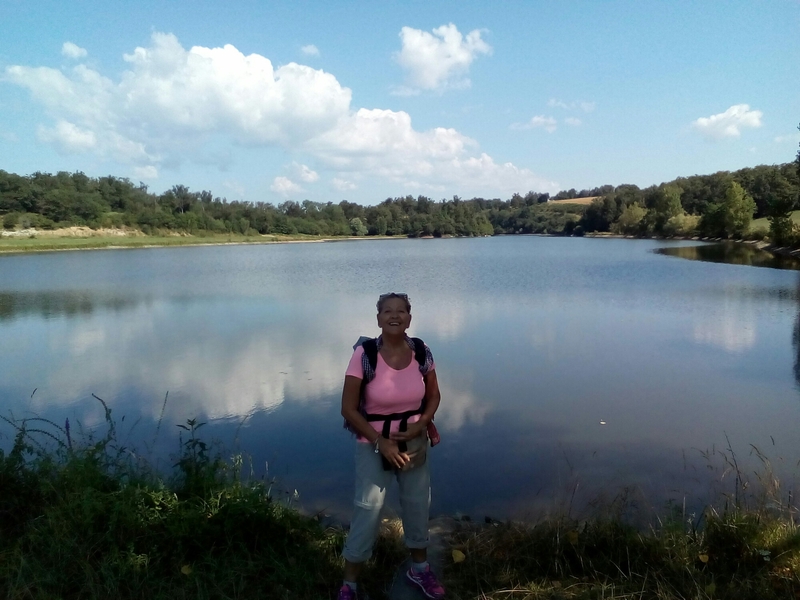 The overnight accommodation at the Gite La Coste was too comfortable and we took our time to indulge with our breakfast and prepare for the day walk. Actually when we started the sun was already very fierce and set the tone for the rest of the day. 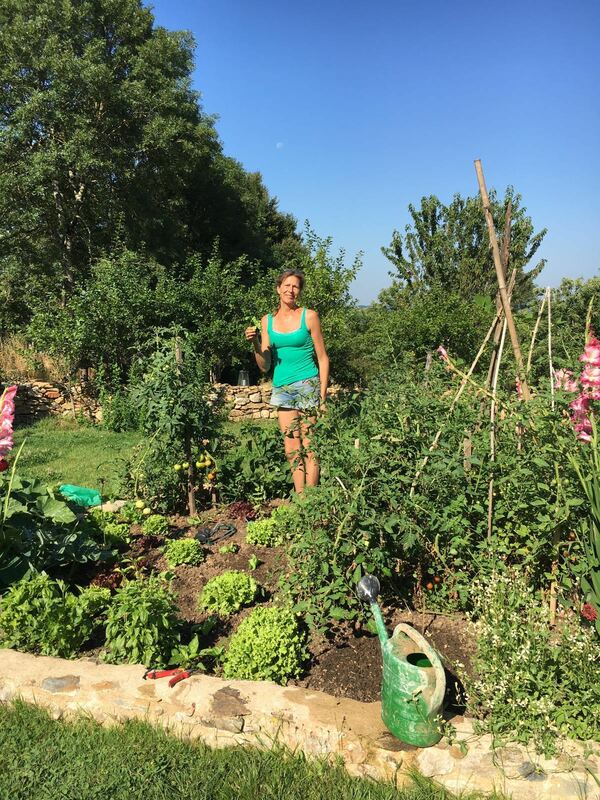 Helen, the owner of the Gite and our host, was already busy in her colourful vegetable garden. The road path went through a pretty much a endless sequence of farming land with cows of any possible color cows can be. By all means the Auvergne is an intensive cheese producing region so it all makes good sense. Every now and then large bodies of water appear in between the trees to create a cool spot for a rest. For the whole section of the road we could not find a place to buy some fruit or even get a coffee: apparently French people in this region do not give a damn of the pilgrims and also other tourists: no business was in operation either because there is non, or because today it’s a Sunday, or because even the business owners are taking their holidays in this time period. We had to chew on old bread and chunks of cheese stolen at breakfast. The best places to take a break are near the churches where also the Village Hall is located and there are as also picnic areas and public toilets. 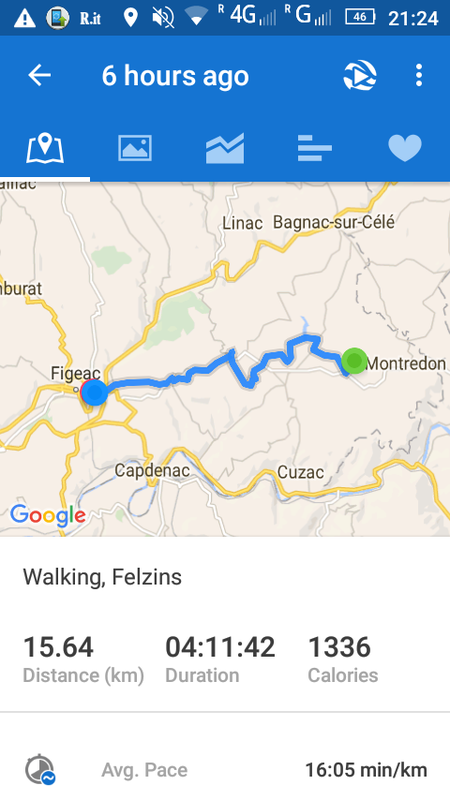 At last we made it to Figeac, our destination for the day. We both are dead tired and luckily we booked a room beforehand in unassuming and anonymous hotel that at least can assure a hot shower and bath. After some rest ( solid rock sleep!) 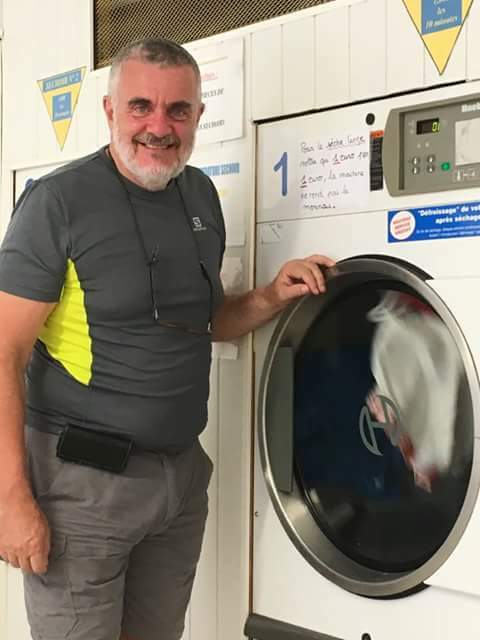 we ventured into the cosy village of Figeac to look for an ATM, a guide for the rest of the walk, an ice cream and a launderette. The mission was accomplished even if not in the same order. After all the waiting for the washing and drying, we stopped in the main square for dinner and we had some trouble to explain to the waiter in our non-French expressions, that we wanted to share three dishes. Finally we learned that the term to use is partager! We managed also to book the Gite for the following day. Do it’s all set and we can tuck in the bed for as well deserved rest. ← Day 4, Stage 2, from Decazeville to La Coste, starting at 8:46am for 5:20 hours. Total 13.09km.